All events for Free Visit and Photo with Santa! Free Visit and Photo with Santa! It’s the most wonderful time of the year at Legacy Village! Join us every Saturday and Sunday November 24 through December 23 from noon to 4:00 p.m. for your Free Visit and Photo with Santa! Legacy Village, L.L. 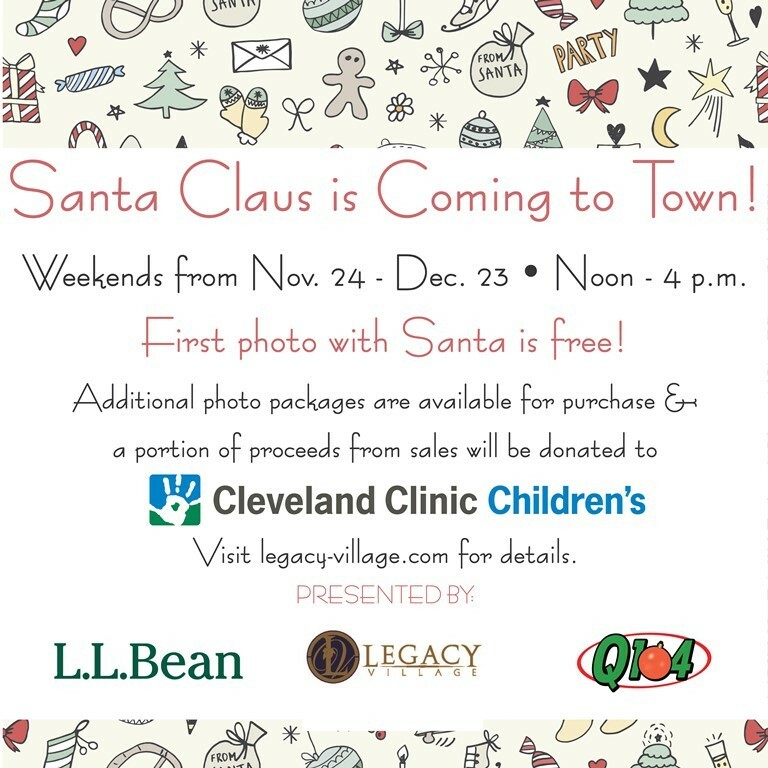 Bean and Media sponsor Q104 have partnered to offer a complimentary photo for each child that visits with Santa! Spread the joy this holiday season by taking a photo with Santa! $5 will be donated to Cleveland Clinic Children’s for every complimentary photo distributed up to $10,000. Additionally, a portion of the proceeds from photo packages sold will benefit Cleveland Clinic Children’s. Santa Claus is located on Main Street in the storefront next to Starbucks and Janie & Jack.